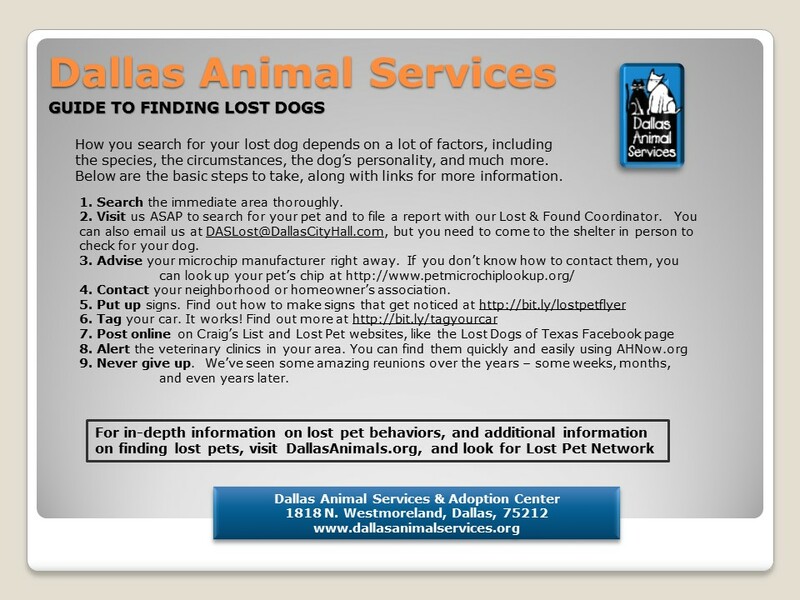 Welcome to the Dallas Companion Animal Project Lost Pet Network. We know the pain of losing a beloved companion and the frustration of trying to locate a found pet’s owner. We want to help, so we’ve created this Network to provide you with the resources, tools, and support you need to be successful. 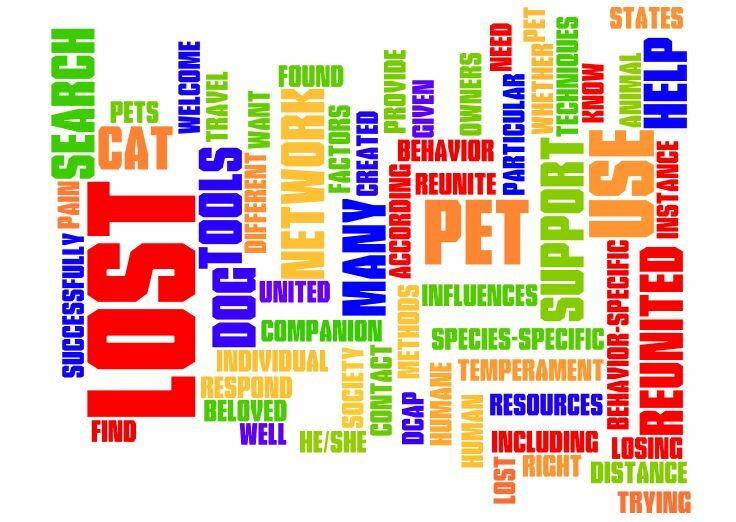 Whether you’re trying to find your lost pet – or to reunite a pet you found – the techniques you use should be species-specific, and behavior-specific. 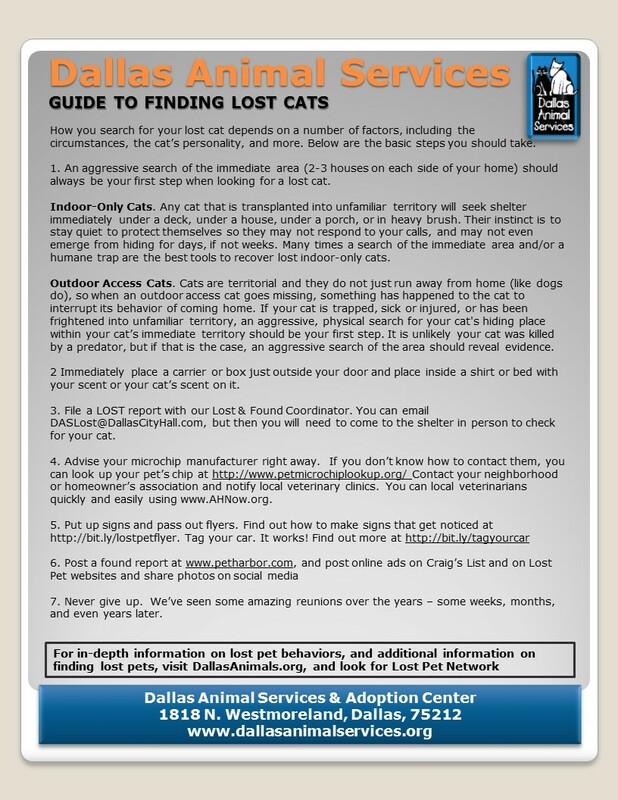 For instance, the methods you should use to search for a lost cat are very different from those you should use to search for a lost dog, and the individual behavior and temperament of a cat or dog influences many factors including how that particular animal will respond to human contact as well as the distance he/she will travel when lost. According to the Humane Society of the United States, many more lost pets could be reunited with owners given the right tools and support. We’re here to help! 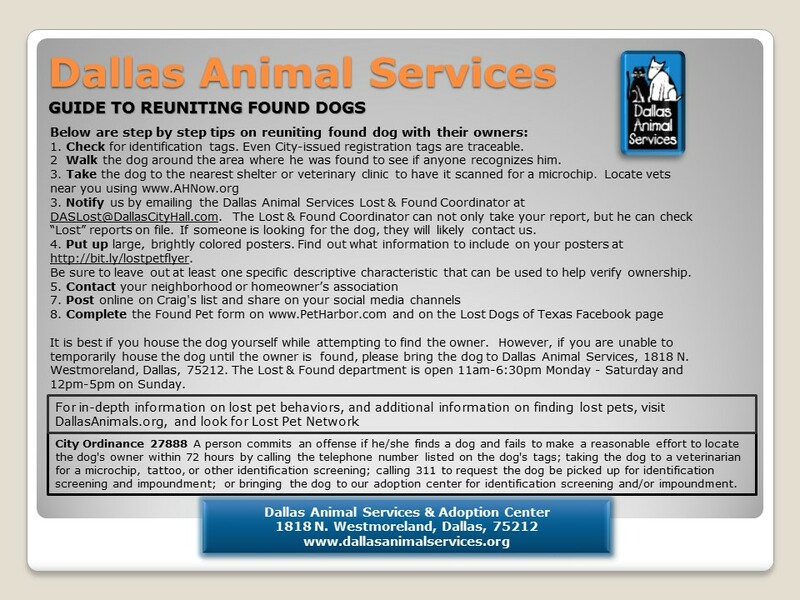 The Dallas Companion Animal Project is a 501c3 non-profit organization created to implement THE PLAN conceived of by the City of Dallas official Task Force to end the killing of all healthy, adoptable animals in our community. During the last fiscal year more than 23,000 dogs and cats were euthanized in our community because there were not enough homes. We need to bring everyone together – individuals, companies, organizations, non-profits, corporations, business and philanthropic leaders, and animal advocacy groups – working toward significantly reducing that number. A key component of any humane community is the ability to quickly and efficiently reunite lost pets with their owners, which reduces shelter intake and in turn reduces euthanasia. 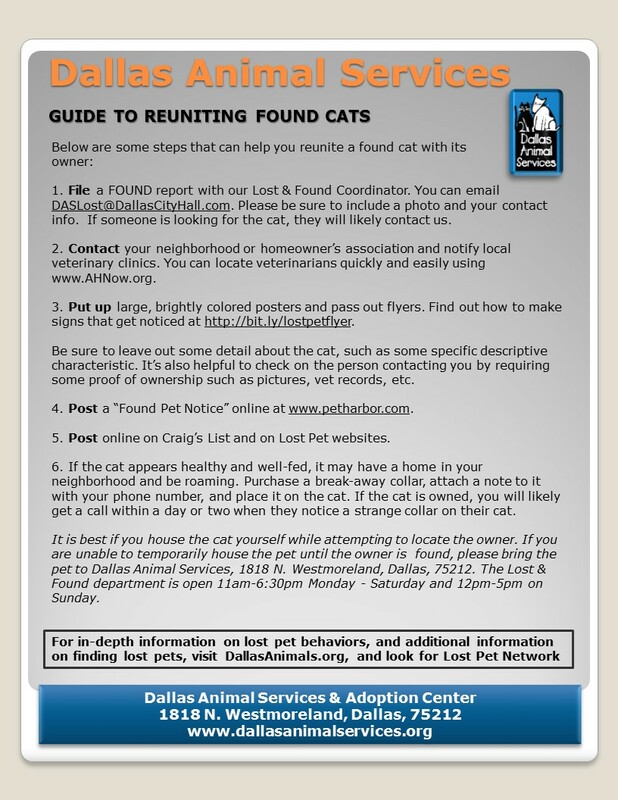 We would like to extend our thanks to Kat Albrecht and Missing Pet Partnership for allowing us to incorporate their material into this website. 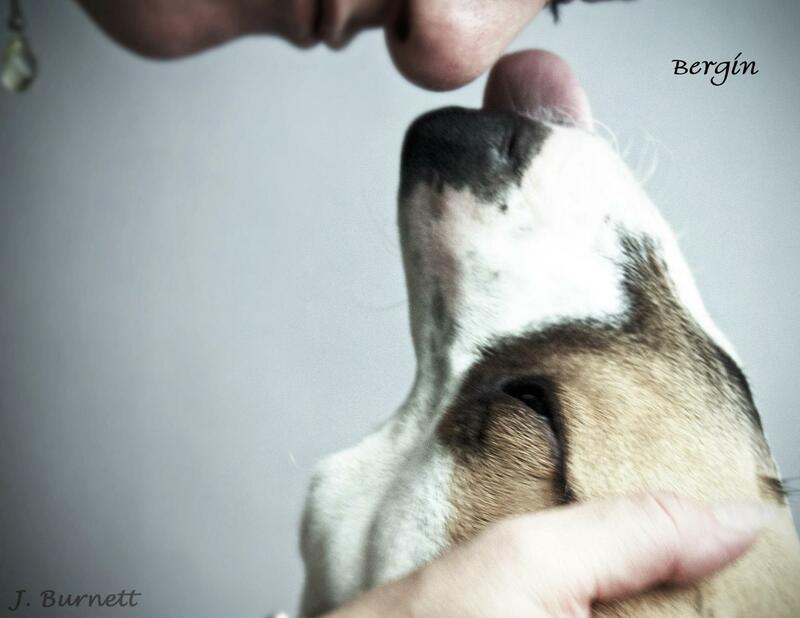 They “wrote the book” on reuniting lost pets.